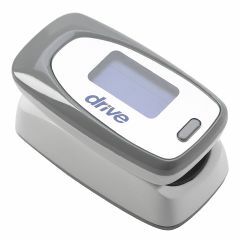 AllegroMedical.com presents The View SPO₂ Deluxe Pulse Oximeter by Drive Medical. Monitor and maintain pulse and oxygen levels for optimal health with the View’s easy-to-read high resolution dual color display. These professional quality, lightweight units are intended for noninvasive spot-check oxygen saturation measurements of the arterial hemoglobin SpO₂. This product is ideal for use in the management of COPD patients, asthmatics, sports enthusiast or for anyone that wants to monitor their oxygen level or pulse rate.